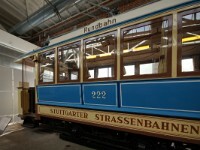 1 The Stuttgart City Tramway is a successor of previously existing tramways. 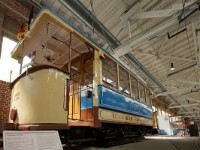 After a long process the tramway converted from a traditional meter gauge tramway to a high grade suburban standard gauge transport system SSB. 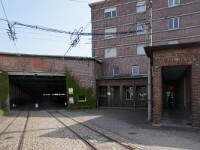 The last meter gauge line closed in 2007 and is now in use as a dual gauge museum line. 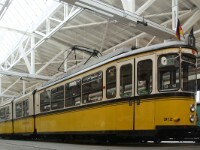 Some of the old meter stock has been preserved in the Stuttgart Tram World museum, founded in 2009 (official website). 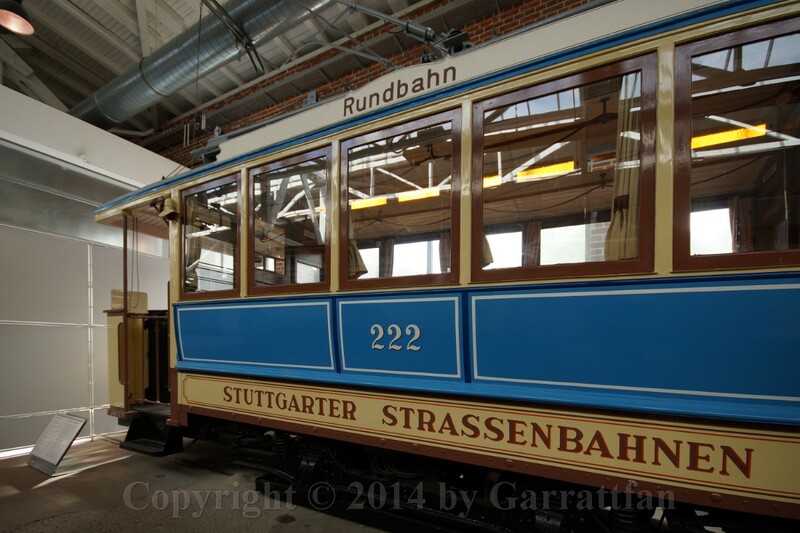 4 The tramways in Stuttgart started with the operation of modest horse drawn standard gauge trams in 1868. 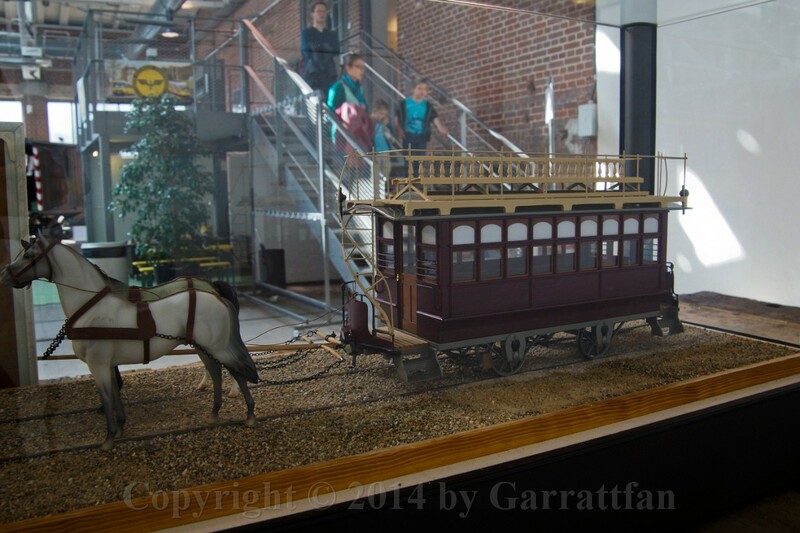 Traffic was all but modest as the tramway carried 1.4 million passengers in 1872! In 1886 a competing meter gauge tramway was opened and the two companies soon merged (1889) and standardised the track on meter gauge. Around this time trials were held with early internal combustion engines and steam traction. 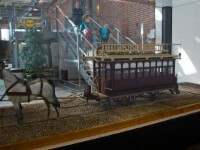 By 1890 the company held 257 horses and 95 carriages. Profits were marginal though. 1892 saw the first electric operation and from that moment on conversion to electric operation took place in a steady pace and was completed in 1897. 5 The undercarriage of one of the horse drawn carriages. 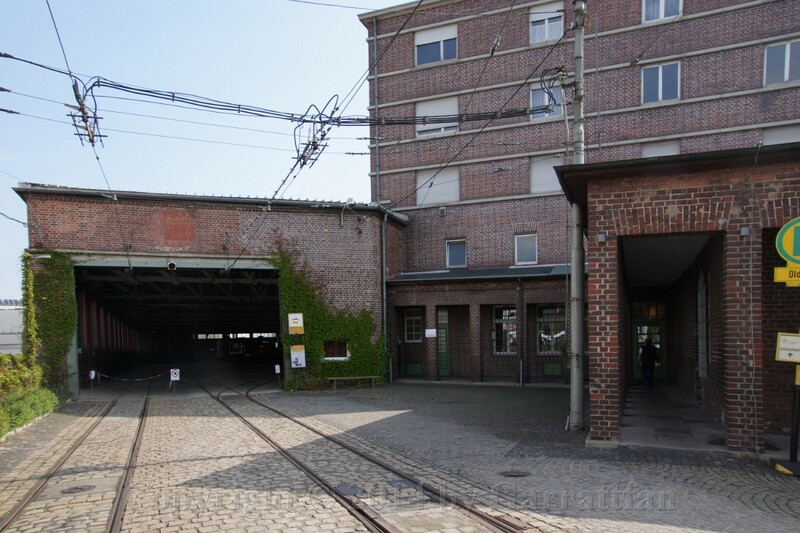 6 The depot itself is a historic site, the roof being one of the largest wooden beam spans of Germany. 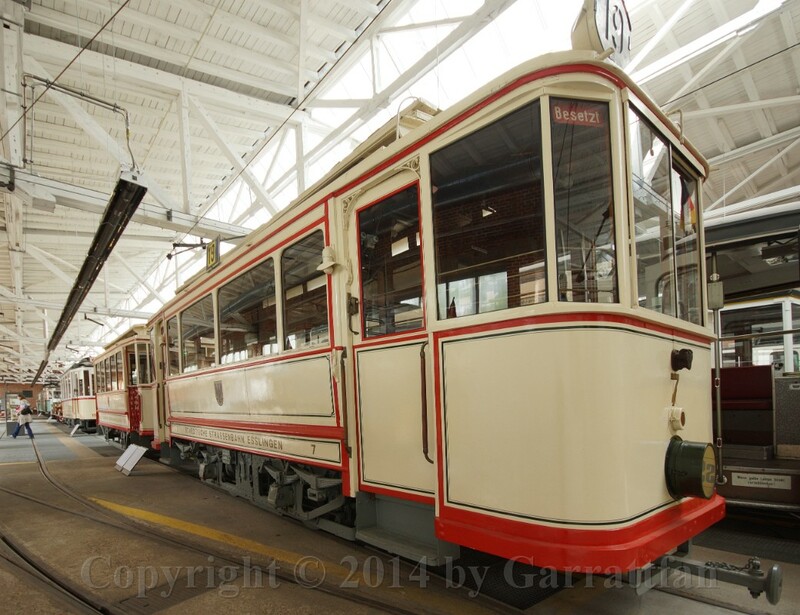 9 END motor car no 2 served on the "independent" line Esslingen-Nellingen-Denkendorf and as such has more the character of an interurban. 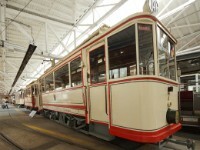 The class of 11 cars was built from 1926 till 1955 (!) and served until 1978. 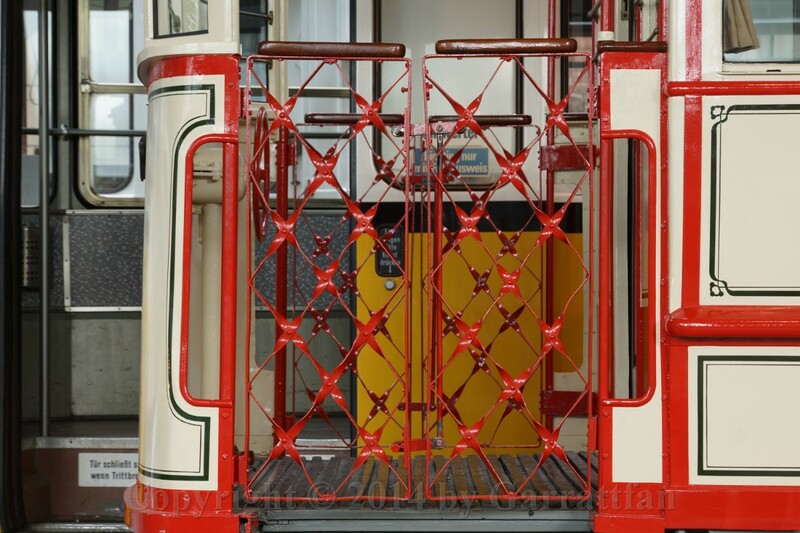 No 2 served the line from opening until closure without significant modification. This car saw it all. 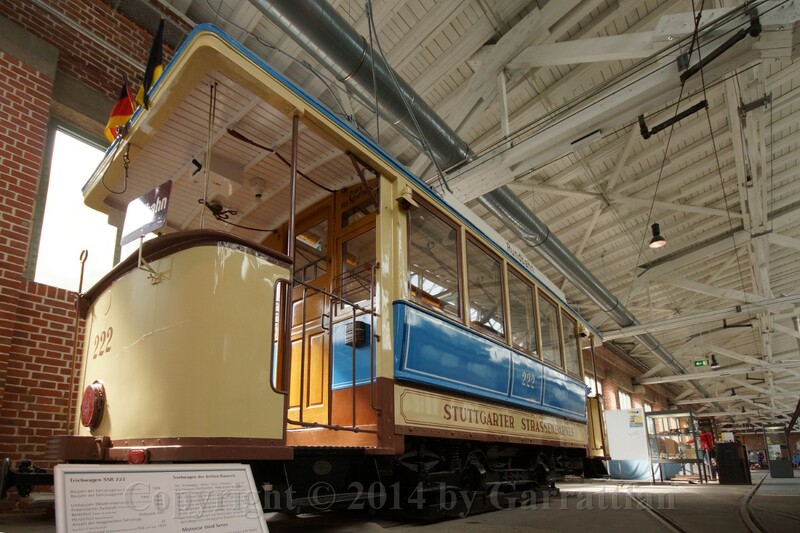 26 The nearby town of Feuerbach had its own tram until it was absorbed in the Stuttgart urban area in 1933. 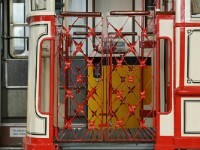 No original Feuerbach tramway vehicle survived, so this very similar original Stuttgarter tramway car is dressed up as a Feuerbach Tramway car for display purposes. 37 Number 222 is supposedly the oldest exihibit in the collection. Built in 1904 (110 years!!) 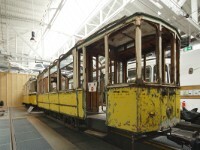 it was rebuilt in 1914 with closed platforms. 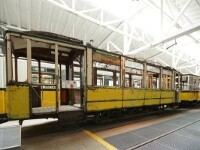 Withdrawn and converted for winter maintenance duties in 1934 it survived until it was brought back to its original condition for the centennial celebrations of the tramway in 1968. 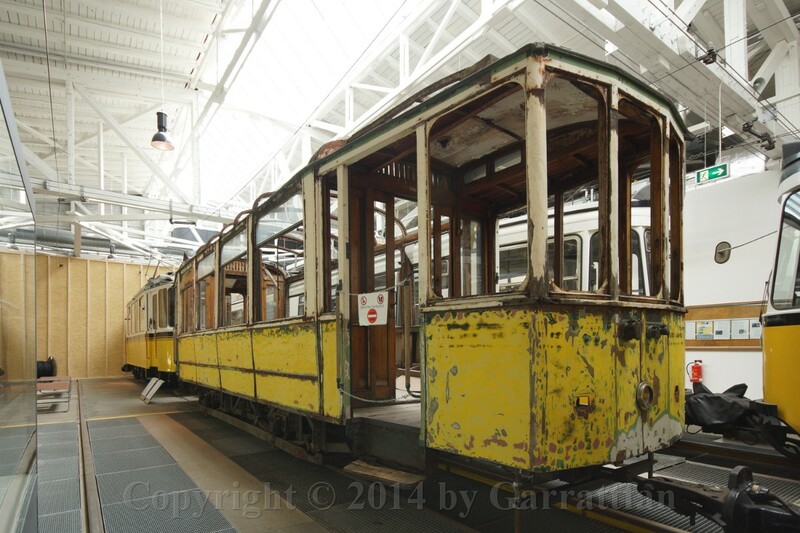 Although it is in servicable condition it is not allowed out on the museum line for regulation restrictions. 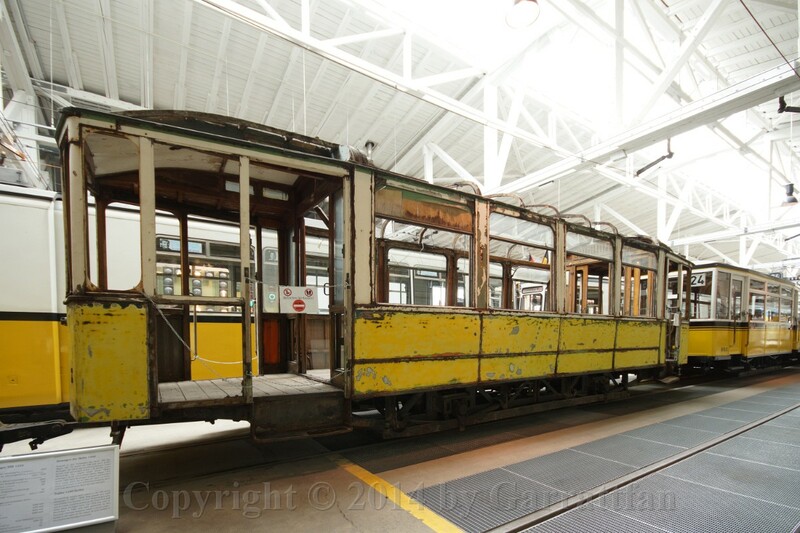 38 The original trolley pole was abandoned in favour of this bow collector which came from Amsterdam . 44 Nice workplace, con't complain about airconditioning! 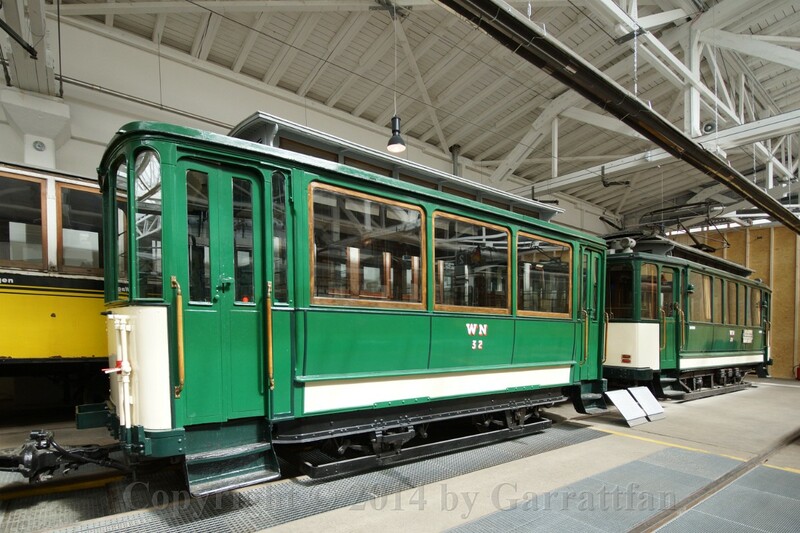 56 Motorcar no 7 of the Esslingen city tramway was 1912 in a batch of 7. The condition it is in now reflects the rebuild state of 1927. The line Esslingen to Obertürkheim closed in 1944. 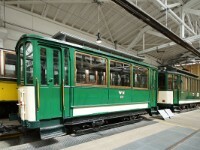 The tram was acquired by the Stuttgart tramway and survived as a works car. 67 Do not spit in the car! 90 Very much in the rear at a next to impossible position for photographers is this well painted early SSB railer coach type 74. I could find no further information about it. 92 albeit with the latest model tram. For my German friends it meant youth reminiscence. 99 Clearly the remaining meter gauge is largely integrated into the successive standard gauge. I must say that this is a commendable effort of the responsible parties involved, the city of Stuttgart and the SSB, because the complex three rail system will cost dearly. 103 Part of the line went undergroud through the modern day tunnel. Inavoidable with today's heavy traffic above ground. 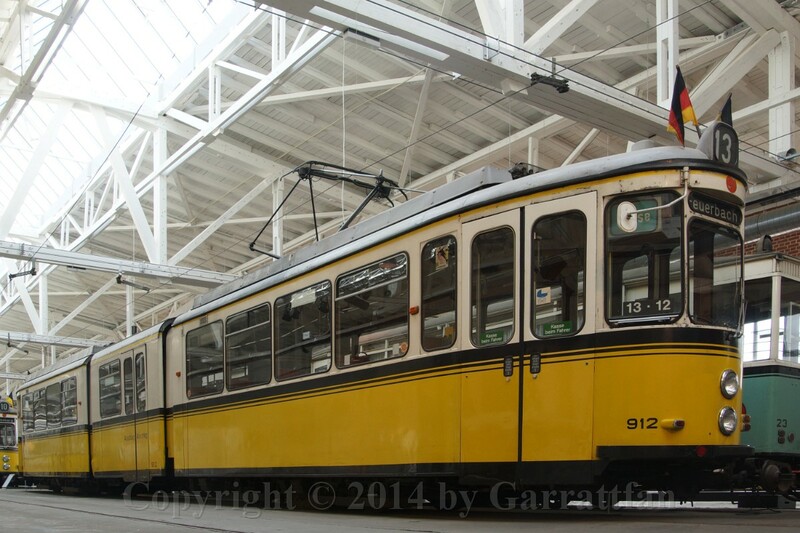 105 Stuttgart has steep gradients which were in the early days thought prohibituve for the construction of tramways. Here's why. 108 Well, we spent a very agreeable morning in this museum. Afterwards we went to a hill with a view over the city and had, in line with good German custom, a beer.